Sparkbox’s 2019 Design Systems Survey is now available! It only takes 10–15 minutes to share your experiences with us. Participate in the survey now. At Sparkbox, we value education—we like to speak, write, and teach on subjects we’re passionate about. But even more than teaching about our favorite topics, we like to learn about them. As you know, we talk a lot about design systems. Last year, we created the 2018 Design Systems Survey to continue our education. We received over 400 responses from many different industries—in fact, we learned so much that we want to do it again! The 2019 Design Systems Survey is for anyone who has worked with or is currently creating a design system. We want to know more about the benefits and challenges of using design systems. And we’d love to hear why you choose to use them and how you make them successful. Do you also want to learn more about design systems? 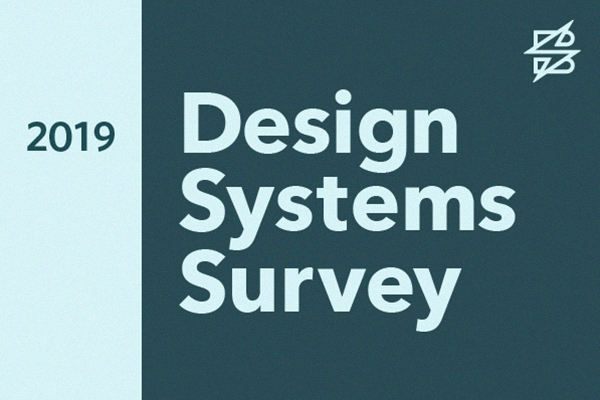 Subscribe to receive the findings from the 2019 Design Systems Survey and learn along with us. Want to discuss design systems even more? Sign up for our upcoming workshop at Generate. Sparkboxers Ben and Kasey will lead an all-day event on “Making Design Systems Work”, and they’ll be sharing our findings from the 2018 Design Systems Survey. Register with code GENERATE40 and get 40% off. We’re excited to hear about your experiences with design systems. Share what you know by participating in the 2019 Design Systems Survey and subscribe to receive a copy of our findings.